Reginald Lacey Parsons was born in Bolton on 29 June 1891. His father, Percy Reginald Parsons, was the cashier at a textile machine works. Reginald attended Bolton Church Institute at some time between 1902-1908. He also attended Bolton Municipal Secondary School. He was later employed by the Union Bank of Manchester at their Salford and Liverpool branches. Reginald served as a Royal Navy officer for nearly two-and-a-half years until his ship was lost. The ship could not be named in the press, to prevent the information being seen by enemy spies, but she was the RFA Lady Cory Wright, sailing from Plymouth to Malta with a cargo of mines. She was torpedoed by the German Submarine UC17, 12 miles off Lizard, Cornwall, on 26 March 1918. The ship sank and of the 40 members of the crew, 39 lost their lives - including Reginald. Mr R.L. Parsons, son of Mr P.R. Parsons of 32, Bromwich-st., has obtained a commission as Sub-Lieut. In the Navy. He is an old boy of the Church Institute Schools, and is at present employed by the Union Bank of Manchester at the Liverpool Branch. He will join as assistant paymaster. Acting Paymaster REGINALD LACEY PARSONS, son of Mr P.R. Parsons, 32, Bromwich-st, Bolton, was killed on March 26th by the explosion of a mine which blew up the vessel on which he was serving. He joined the R.N.R. at the outbreak of war, prior to which he was employed at the Salford Branch of the Union Bank of Manchester. He obtained his commission in October 1915 and was promoted paymaster in July 1917. 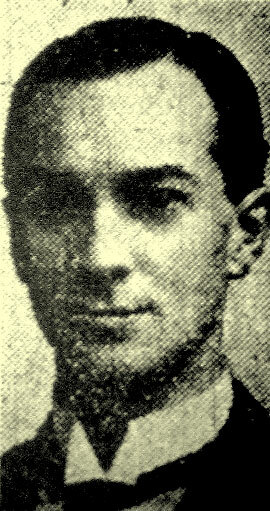 He was educated at the Church Institute and Municipal Secondary School, and was connected with the Bolton Old Boys Cricket Club, and a member of the Deane and Dunscar Golf Clubs. He was assistant secretary of the Lads Club. Aged 26, he leaves a wife and child at 223 Belmont-rd, Bolton. PARSONS – On March 26th. Acting Paymaster REGINALD LACEY PARSONS, R.N.R. dearly beloved husband of Winifred Parsons, 223 Belmont-rd, Bolton, and only son of Mr and Mrs P.R. Parsons, 32 Bromwich-st, Bolton.